One of the rules of the internet is that no one owns a hashtag. While that may be so, I'm setting one aside to pick up another. For years, I've used #MarchBandness for conference and NCAA tournament band tweets. Damning the torpedoes, I went forth indignantly as a radio station or two used the same tag for their March rock band brackets. While no one was going to confuse my subject matter with theirs, I'm moving into the 2017 postseason with #BracketBands instead. Those following along closely at home will note that a similar change took place this bowl season, from the ambiguous #B4 (Big Band Bowl Battle) to #BowlBands. -I spared you the annual opining about the return of my side jawn after football season, because the story remains the same. It took a bit of revving up, but I'm all in on college hoops season now. -That said, I've not been to a single game all year, and I need to get on that before the season passes me by entirely. I can usually be saved by local postseason action at the Greensboro Coliseum, but there's none of that to be had this year. Thanks, HB2. -Speaking of HB2, there's a many-things-falling-into-place scenario where a team I care about could end up benefiting from a move from NC. IF UNCG manages to win the SoCon (not entirely far-fetched), there's a SLIM possibility they could end up with an accessible game in Greenville, SC. 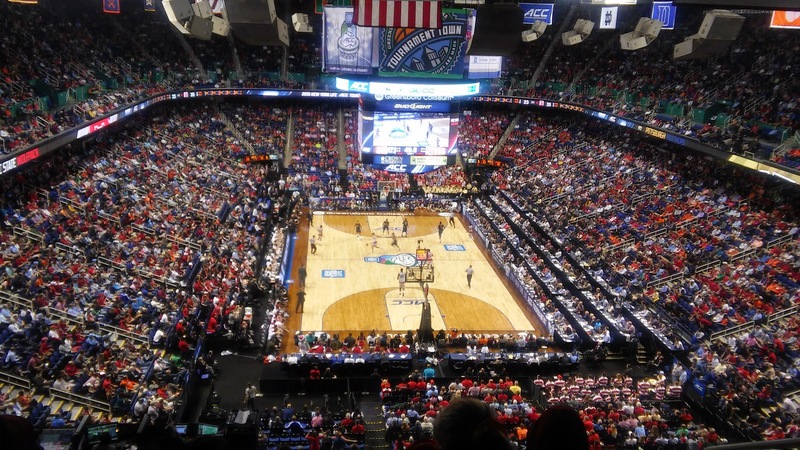 The only reason Greenville exists as a tournament site is because the NCAA pulled out of Greensboro, where UNCG would've never gotten the chance to play on their home floor.